Galilee is located on the northern side of the Holy Land. Jesus' childhood town (Nazareth) is located in its center, and his adult home town (Capernaum) is located on its east side. Most of the villages and sites Jesus visited, preached and performed miracles where in the Galilee. 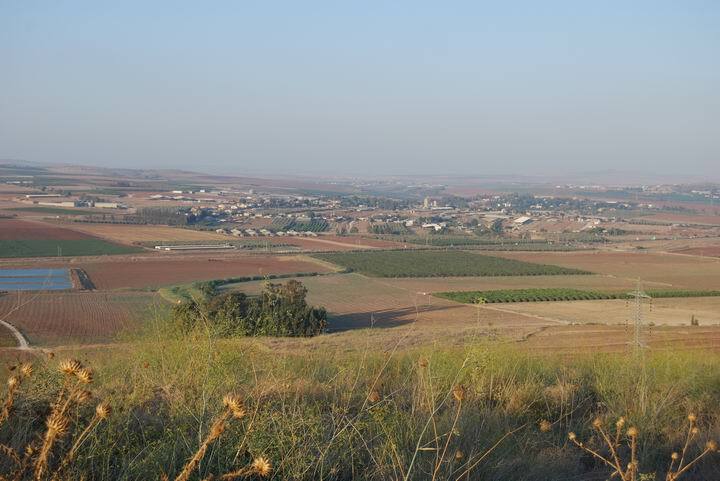 For more info on the sites of Galilee, check the following galleries: Jezreel valley (seen here), Sea of Galilee, lower Galilee, West Galilee and Upper Galilee. Jn 1:43-47: "The day following Jesus would go forth into Galilee, and findeth Philip, and saith unto him, Follow me. Now Philip was of Bethsaida, the city of Andrew and Peter. Philip findeth Nathanael, and saith unto him, We have found him, of whom Moses in the law, and the prophets, did write, Jesus of Nazareth, the son of Joseph. And Nathanael said unto him, Can there any good thing come out of Nazareth? Philip saith unto him, Come and see. Jesus saw Nathanael coming to him, and saith of him, Behold an Israelite indeed, in whom is no guile!"